Artificial grass installations in the North East. Our sister company LazyLawn North East are trained to the highest standards by LazyLawn. LazyLawn are the brand leaders in the UK. Artificial Grass Installations by The Driveway Company. After trading in the landscaping and paving industry for numerous years, we have built up an excellent eye for design and detail. We can help advise you on the best solutions and design for your artificial lawn, to ensure it meets the best possible standards. Take a look at our video below to see what our company has to offer when it comes to installing artificial grass on your property. 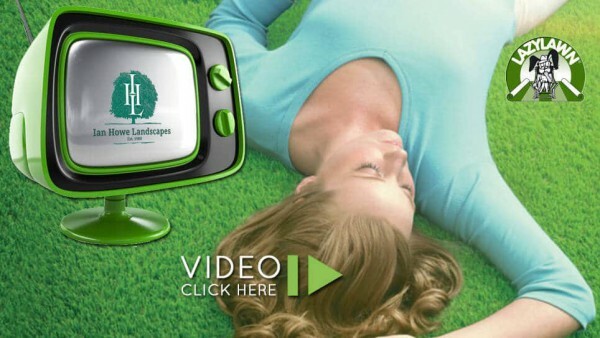 Our team of installers use the LazyLawn brand of products for all our installations. The LazyLawn range is vast and we find the quality superb. The products come with a huge selection of colours, textures and pile heights. When it comes to artificial lawns you can get them for almost every eventuality. When it comes to quality, you cannot go wrong with our LazyLawn installations. If you would like to see examples of our artificial grass. You can visit our show site at Clays Garden Centre, Peel Retail Park, Washington, Tyne and Wear. You will see various displays on show and different types of artificial grass. To find out more about our artificial lawn installations, you can visit our sister site at www.lazylawnnortheast.co.uk or call our team for a free no obligation quotation. We can bring along samples on the day for you to view and see the quality of the product we are offering.